Team Awesome is a Milwaukee area business coaching firm that specializes in guiding leaders to be the most awesome version of themselves, and to lead high-performing and engaged teams. 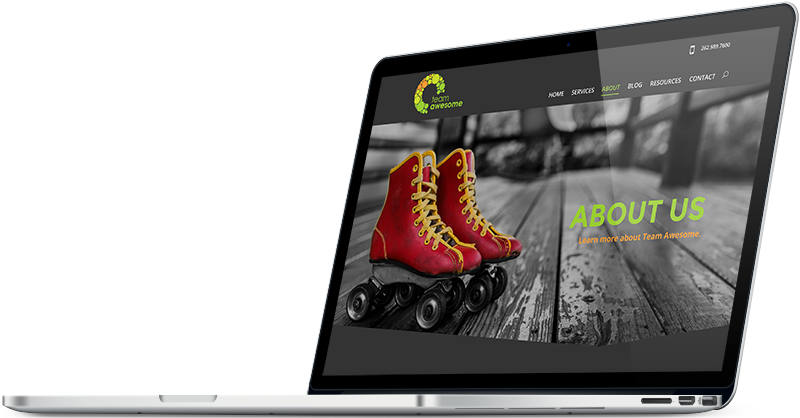 Team Awesome turned to LimeGlow Design to design their new website and to create an engaging logo to represent their brand. Andrea and Shane at LimeGlow Design are amazing partners to my business. They truly captured the brand that I was looking for to help me bring my company to life! Their creative design was wonderful, and their approach was very professional. I appreciated their work, but also their insight and expertise that they shared. 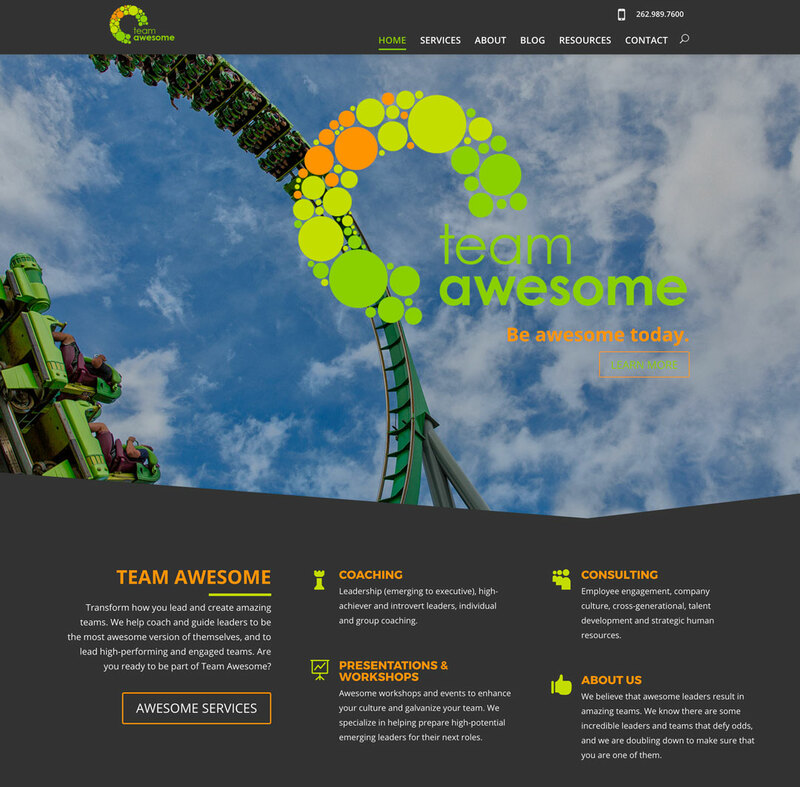 Fully mobile responsive WordPress website design for Team Awesome. Read more about LimeGlow’s website design services. To learn more about Team Awesome and their business coaching services, visit their website www.teamawesomecoaching.com. Logo design for Team Awesome, created by LimeGlow Design during the website development project.